Geographical data files like Shapefiles or geoJSONs already contain a geometry. 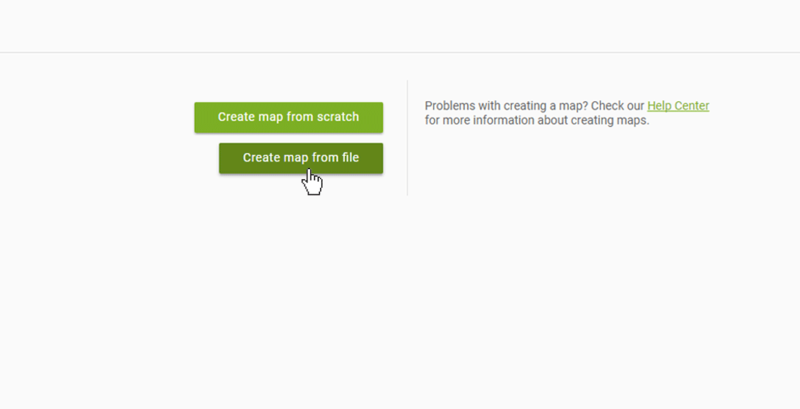 This makes it very easy to import those files into our mapbuilder. 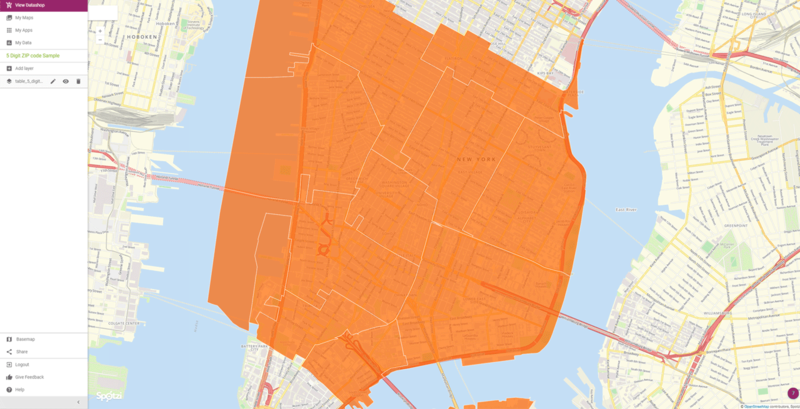 Most shapefiles or geoJSONs contain data which enable you to draw area boundaries on a map. In this example we will use a shapefile with a sample of the 5-digit ZIP code areas in the United States. Interested in our ZIP code boundary data? Please visit our datashop. 4. Your data is now being uploaded to your account. The time for completing this process depends on the size of your file. Please note that it may not exceed 256 MB. 5. 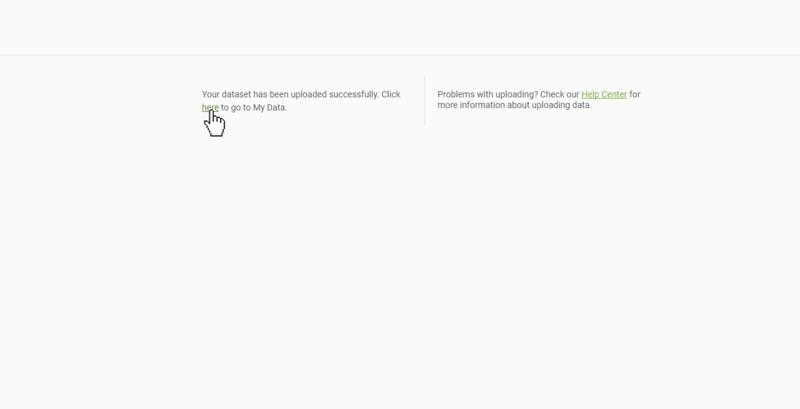 After your data has been uploaded successfully you will be able to access your data on your MY DATA homepage. To get to the MY DATA homepage press the link you can now see on the interface. 6. On the MY DATA page you can create a map from your data. 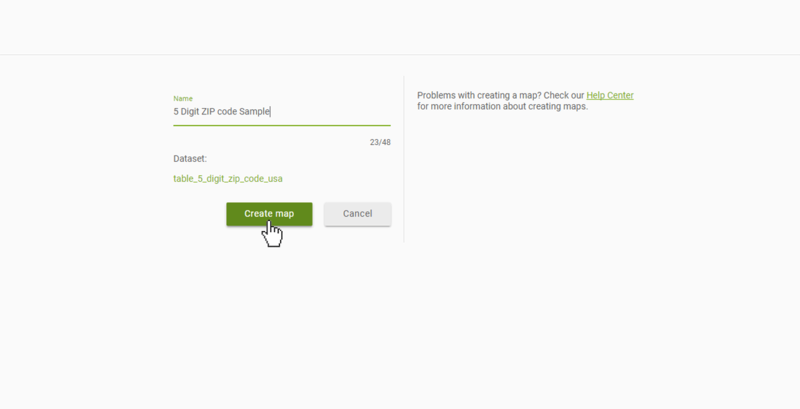 In order to do so press the CREATE MAP button on the right side of the name of your dataset. 7. Give your map a name (max. 48 characters) and press CREATE MAP. 8. 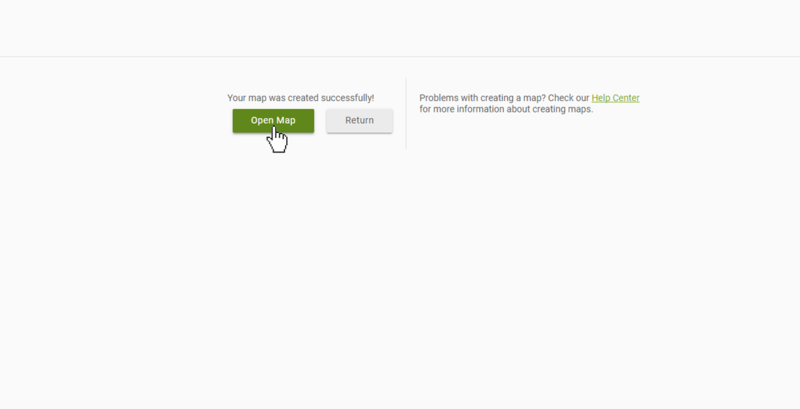 After your map has been created successfully you can open it by pressing OPEN MAP. 9. Congratulations! 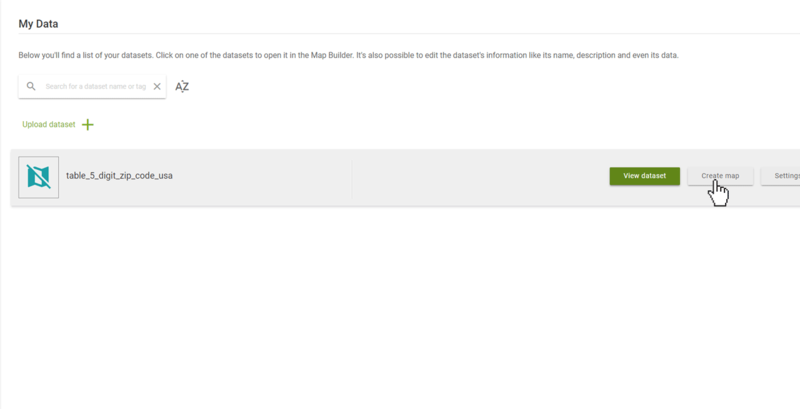 You have successfully uploaded a dataset to your Mapbuilder account. Now it is time to style your map the way you like. 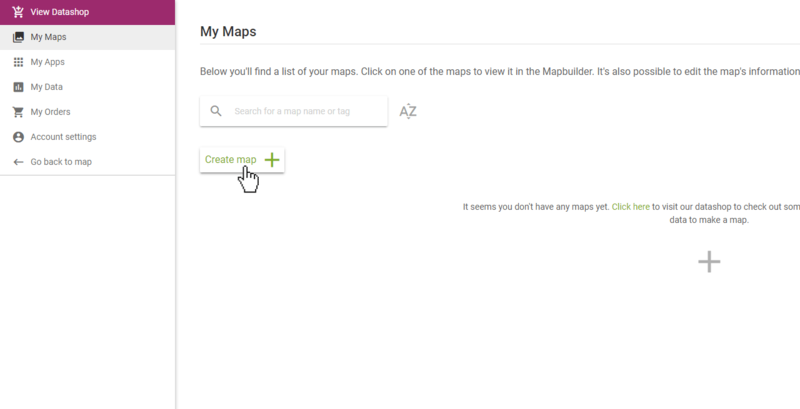 For more information about styling your map, please consult the topics styling multiple features or styling each feature individually in our help center.